Would you like your face on a coaster or do you have a family picture Gran would love but she doesn’t have room for any more frames? Get your photos and designs on our brilliant custom melamine coasters. Our brilliant and reliable custom melamine printing allows you to get a range of your photos on a great selection of our melamine products. Let me break it down for you, birthdays sorted, home warming gifts sorted, kind gesture for no reason, sorted! We make gifting easy with your photos or design on a great selection of templates. All you need to do it get in touch with us the home of melamine UK and we can help you with all the details. The most difficult thing will be choosing the most embarrassing picture of your friend so they can have it for life. 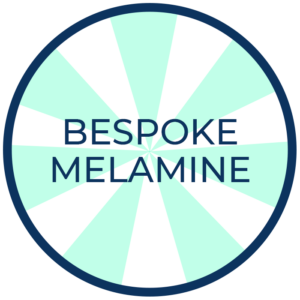 At the core of everything we are and do is Melamine. We wouldn’t be where we are without it and we think that speaks volumes about how great it is. That is why we have a massive range of products with artist’s designs or templates ready for your own bespoke melamine designs. Hardwearing, shatter resistant and heat resistant, these features make melamine products essential for a lot of homes, so why buy anything else when you can buy Melamaster? Get in touch today and start creating beautiful gifts that will last for years to come. contact us on sales@melamaster.co.uk or 02476 724 900.